Prepare to be enchanted by the expressive electronic wizardry of Grower, the second release from Lookinglook Records, Ukraine, compiled by Ju Ju. 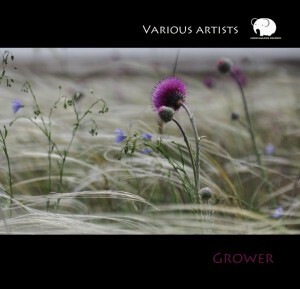 Originally published in 2010, this diverse compilation features a mixed assortment of downtempo styles from classic chill out to deep dubby downtempo with a smattering of deep trance grooves along the way. Mastered by Makus (Overdream) with artwork by Julia Sidorenko (Ju Ju) featuring photography by Olga Slipko (Kotya). MP3 Download | FLAC Download | WAV Download · Download count: 8,141. Re-released under a Creative Commons licence for noncommercial usage with the full authorization and consent of the copyright owner. *groWing!!!!! ;) Nice & Smo0oth groOves! Moooar Pls!!! “Overdream – Mystique Cabalistique” is fantastique! And thanks BraneFreeze, glad you liked it! another FANTASTIC ektoplazm downtempo release. really, really excellent stuff all around. “Overdream – Mystique Cabalistique” is indeed an excellent track.. scottish gaelic mouth music set to a shpongle-esque beat?? moar please! and thanks for the feedback, guys! Πανδαισία ήχων, καταπληκτικό άλμπουμ, με ξετρέλανε το κομμάτι των Spectrum Vision – Outsiders!! μπράβο πολύ καλή συλλογή! “Overdream – Mystique Cabalistique” just popped up on my random Ekto playlist. What a great track!